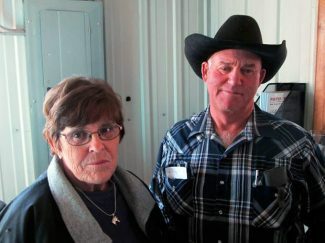 Jerry and Stephanie Sharp, Long Valley, South Dakota. Nate and Kendra Mills with son, Kiptin, Arnold, Nebraska. Lois and Martin Hanley, Crawford, Nebraska, bought 4 bulls. Location: at the ranch east and south of Hay Springs, Neb. 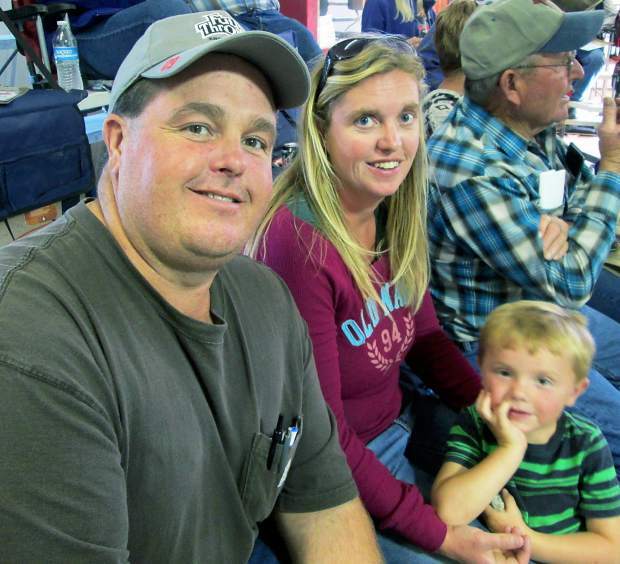 Pieper Red Angus hosted another packed house for their annual "Fall Run Production Sale." The highlight of this sale was their 18-month-old Red Angus bulls, along with their fantastic set of commercial Red Angus bred heifers. They also featured a few show heifer calf prospects out of the top of their Red Angus herd. The day ended with some quality horses from their Quarter Horse herd. Their early born bull calves will be featured in early April of 2016 when they come through the sale ring. Give Mark a call if you'd like to come take a look at them before that time. This herd is in deep demand because Piepers continue to offer performance-proven Red Angus cattle. Mark also buys a lot of his customers' calves, which is proven every week around the circuit of sale barns. The bull portion of this sale was very competitive, with many repeat buyers taking bulls in volume. The bulls were a very stout set of coming 2-year-old bulls, with growth and maternal traits that are at the top of the Red Angus breed. As always, the food and hospitality are second to none at the Pieper Ranch. The top selling bull of the day was Lot 77, the proven 4-year-old, "Hardball." LSF Saga 1040Y has been used hard in the Pieper herd, and had the highest selling sire group at last spring's bull sale. He has the right look for a herd bull, and all the right numbers. He sold for $17,000 to David Ortiz from Guadalajara, Mexico. The highest selling show heifer was Lot 78, selling for $10,500 to Kipp Stender, Madison, Minnesota. Sired by Andras Fusion R236, her dam was by TPIE Wagonmaster 753. Lot 96 topped the market for registered bred heifers, selling for $6,000, and going to Heart-Ranch, Volburg, Montana. Out of Beckton Epic R397K, she was carrying a New Direction calf. The top selling draft of commercial bred heifers brought $3,700 each. They were AI bred to PIE One of a Kind, and sold to Dayton Hyde, Hot Springs, South Dakota. 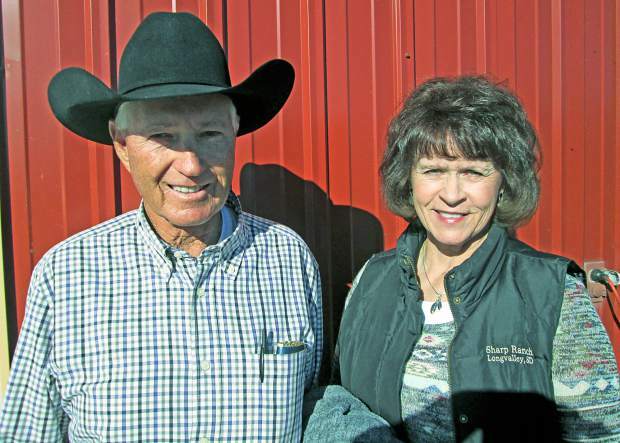 Bruce Westhuis, Menomonie, Wisconsin, became the buyer of the top selling gelding, stopping the bidding at $10,000. This palomino gelding will make a good ranch horse. The top colt was Lot 12, a buckskin stallion, and for $3,000 he was purchased by David Ortiz.